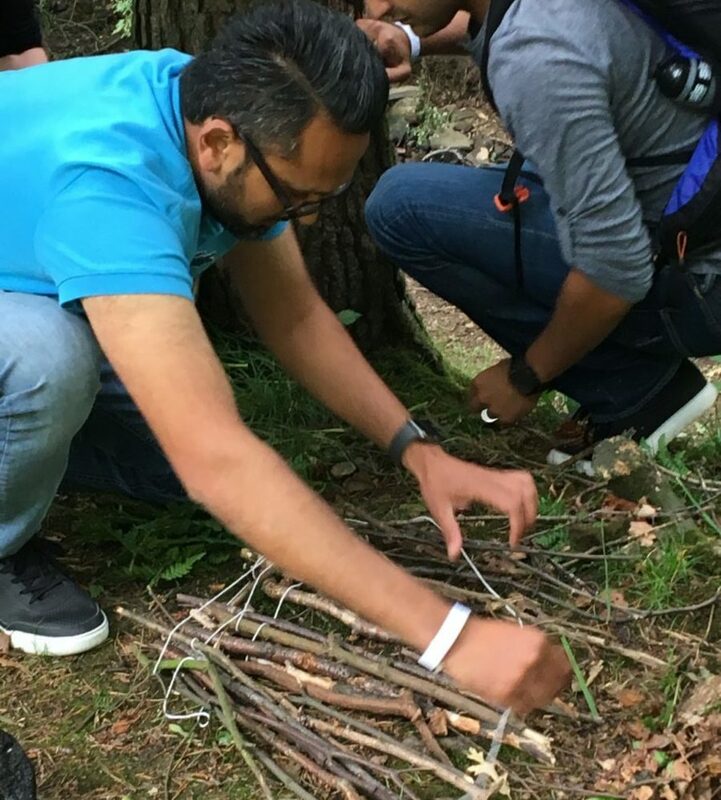 On Yorkshire Day, 1 August, we spent the afternoon with a team of 70 from HSBC Sheffield with an event we designed especially for them , Go Wild in the Peak District! The activities took place at Longshaw Estate, a beautiful National Trust Site with ancient woods & tumbling streams. HSBC worked in small groups on ten truly wild challenges including ‘DIY SOS’ – creating a habitat for a small mammal using natural resources; ‘Castaway’ – filming a docudrama themed around escaping from the wild; and ‘Game of Thrones’ – making a throne & crown for their appointed woodland King or Queen for the day. At every one of the ten team challenges, colleagues worked with a new group of people ensuring that they had completed an activity with all of the other staff throughout the afternoon. Points were awarded by our Team Activ judges for each wild task and the afternoon culminated with a Yorkshire themed orienteering race with the opportunity to win even more points and gain some new & entertaining Yorkshire knowledge too! The whole team were fabulous, demonstrating wonderful team spirit, ingenious ideas and excellent leadership. We can’t wait to work with you again.